On Joni Void's second full-length Mise En Abyme, plunderphonic electronica is not only a technique for sound construction but also a deconstructive method for shattering and reordering the self. Mise en abyme, French for "placed into the abyss", refers to the "aesthetic technique of putting a copy within the work itself, a story within a story". In reality, it is the optical phenomenon that occurs when one stands in between two mirrors, reflecting the self infinitely. In art, it is the aesthetic framing of recursive sounds, images, narratives, and concepts. In either application, the infinite reflections offer a sense of understanding, projecting copies that seem to become more familiar with each iteration. Yet, ultimately, the copies are just that. The real moment of introspection comes not with each reflection but when the image wholly disappears into the abyss, shattering the symbolic self to only leave the true Self. For Jean Cousin, aka Joni Void, his second full-length Mise En Abyme works toward the cathartic abyss. 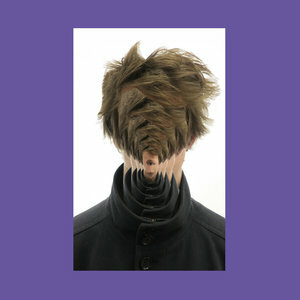 Navigating his "self-professed body/voice dysmorphia", the application of plunderphonic electronica is not only a technique for sound construction but also a deconstructive method for shattering and reordering the Self. Plunderphonics is the technique of rearranging pre-existing sounds into new compositions. In contrast to the ambiguous arrangements of sound collage, plunderphonics typically employ tropes of other conventional genres. However, for Cousin, the distinction between plunderphonics and sound collages is purely a suggestion, something to be tested. Indeed, on songs such as "Abusers", found bleeps emulate sine waves and clattering tools become drums. Yet, on "No Reply", the modulated dial tones and static pops veer away from their obvious possibility for creating a plunderphonic beat. Rather, the telephony signals incrementally collapse into a dizzying, tropeless arrangement. In the optical phenomenon of mise an abyme, reflections become ever more recursive; on the album Mise En Abyme, reflections become ever more distorted. Perhaps, the lack of clear reflections and the intensity of compositional distortions imitate the experience of body/voice dysmorphia. Accordingly, on Mise En Abyme, this sense of distortion heightens with every song. And, on "Voix Sans Issue", the developing anxiety fully surfaces. The tensive sentiments that lurked the prior compositions are now in focus, beginning with an ever-mounting wave of vocal crescendos. Each layer adds weight, and each disharmony adds tension. The wave descends shortly, only to re-ascend with a menacing beat. The song ends in a shattering, releasing the album's surmounting tensions, at least for the moment. The shattering, "Deep Impression" uncovers the Self, but not for the listeners. The computerized voice offers a deft list of illusory forces that structure the void, from the violence of language and its binary oppositions to intergenerational trauma. Its reflections are conscious. "Isolation is my personal solution"; its reflections are candid "not a single day without suicidal ideation". Yet, these words hold deeper truths that are not meant for us to unpack. The purpose of Mise En Abyme, then, is somewhat contextualized but ultimately remains vague. Cousin expresses, "It took 20 years and a thousand deaths to write these lyrics / I don't have time for you critics / Whatever you think of this song / It's absolutely wrong." Thus, let's not take this review as anything more than a suggestion to go listen to Jean Cousin's life's project.